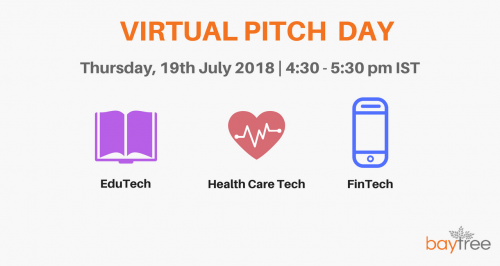 Join us for our next tech-focused impact investing webinar showcasing 3 enterprises across EduTech, HealthCare Tech and FinTech. 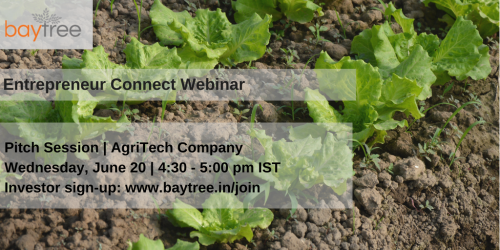 Thanks to all who tuned in for pitch session of an innovative company in the Agri-Tech space looking to reduce the dependence of small plot farmers on inconsistent monsoon rains & costly fuel pumping. 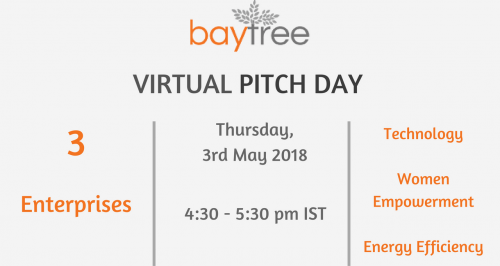 Proud of our entrepreneurs for making BayTree's first Virtual Pitch Day a huge success! 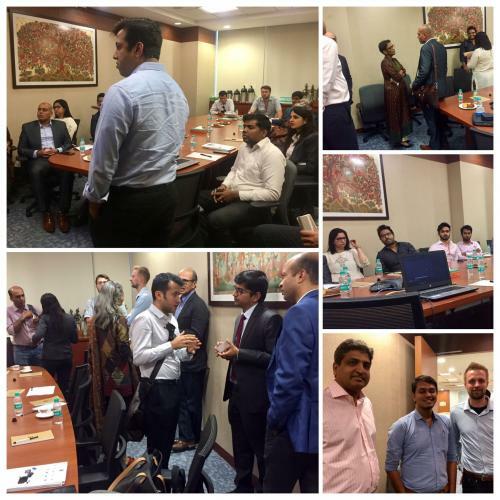 A big thank you to our investor community for joining in and contributing towards an engaging discussion. It was a hectic though exciting day for Team BayTree with our first Enterprise ShowCase event. 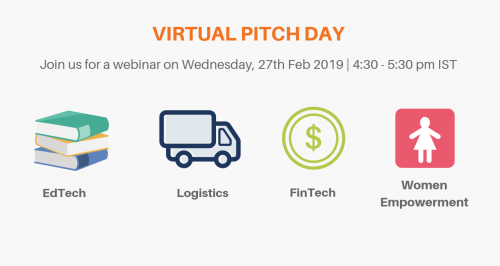 What a great way to learn from our Entrepreneurs about their passion for social impact and their business models that can help realise their dreams at scale! A big thank you to both our investor and entrepreneur community!